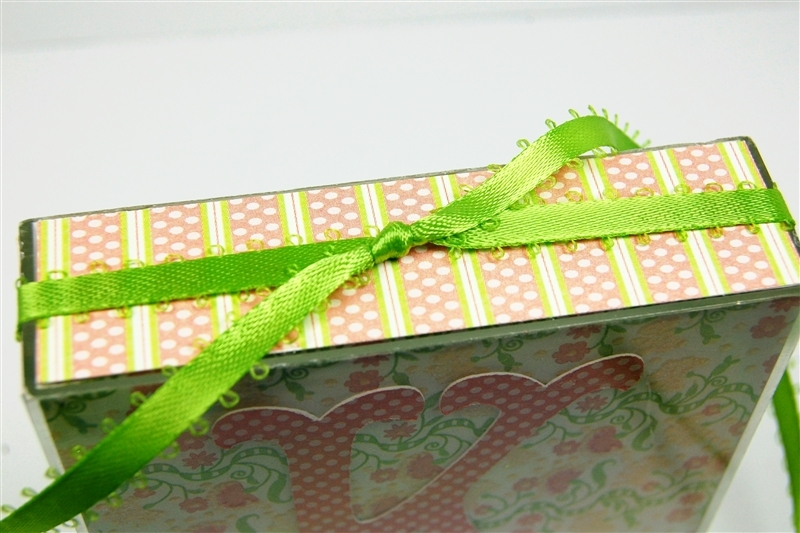 This is a quick and simple project that makes a nice "little gift" for any occasion. 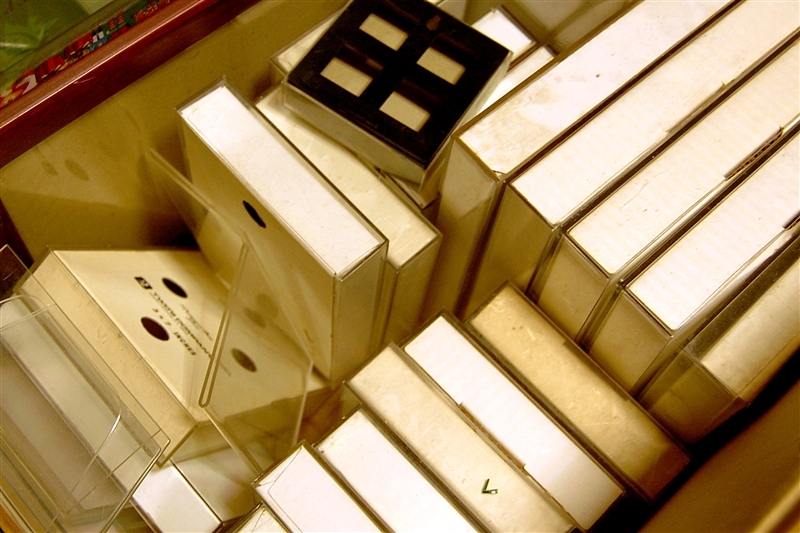 It is also a great way to recycle some old acrylic box frames that are still in good condition. This type of frame can often be found at rummage sales and yard sales. I bought this entire box full of frames this year for 25 cents to a dollar each. 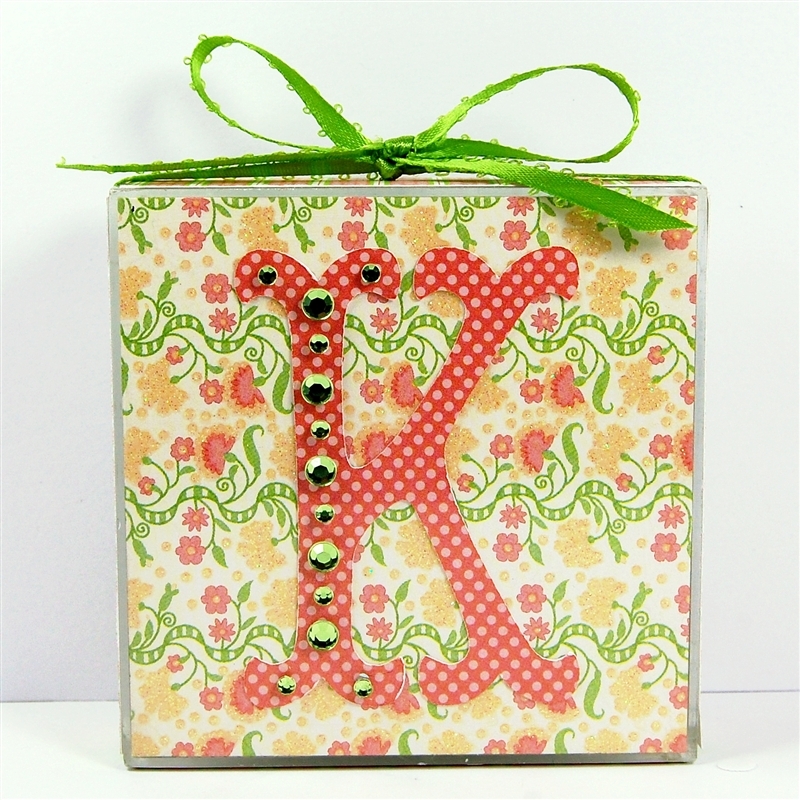 The frames are also readily available new at craft and discount stores. 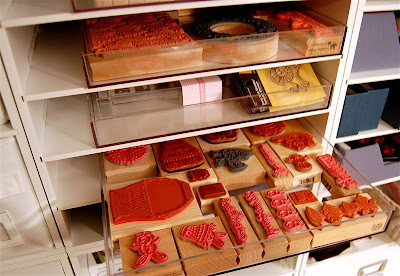 If you find these frames in the larger sizes and they are too scratched up to use as frames they make great "drawers" to hold your wood mounted stamps. I cut pieces of cardstock from the DCWV Nana's Nursery Baby Girl mat stack, measuring them to fit the top and sides exactly. 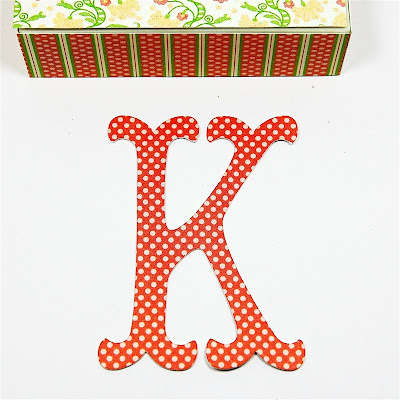 The "K" is from the Storybook Cricut cartridge. I had intended to have the side pieces inside the frame, however, I discovered that they made the insert too thick to fit in the rigid plastic box. So I adhered them to the outer edges. This is a decorative piece and not meant to be handled a lot so they will be fine on the outside. Here is a closer view of the top edge. The side cardstock and the initial are smooth and the floral background is a glittered cardstock. A ribbon tied around the box looks pretty and serves as a reinforcement for the edge pieces to stay put. O tied a knot at the top to prevent the bow from coming undone too easily and then tied a fussy bow. Here is the box frame with the tied and trimmed bow. It is fine like this but I thought some added bling would make it seem more special and look nice sitting on a shelf and catching the light. 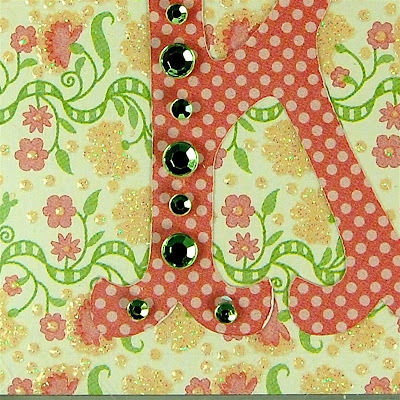 I added two sizes of the green gradient gem stickers from Creative Charms to the strong left side of the "K" in an alternating pattern. 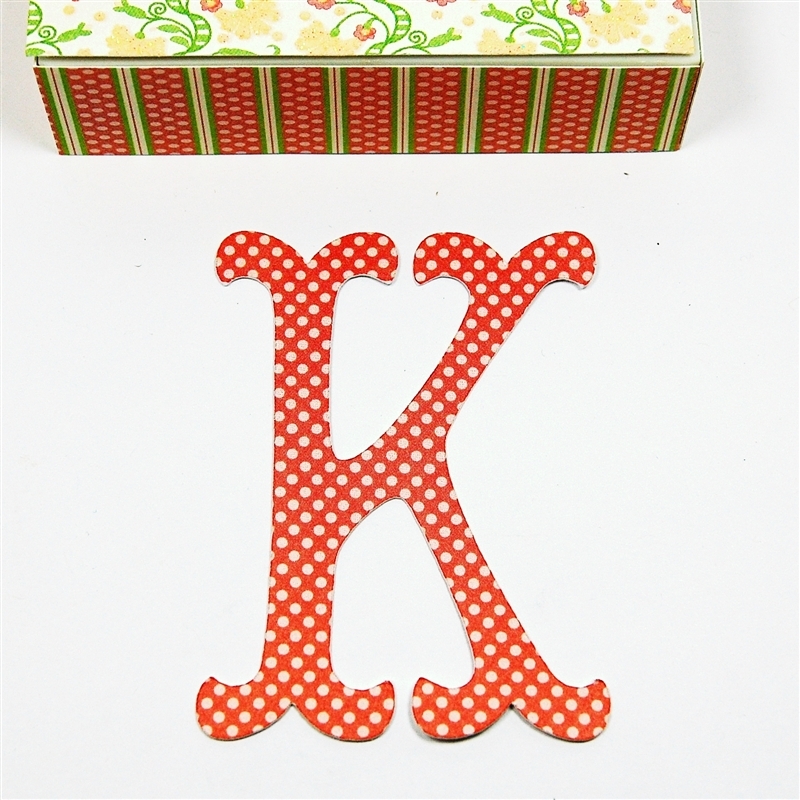 This will look very cute and girly sitting on 13 year old "K's" shelf - I hope she likes it! This sort of project is easy to make and easy to personalize for anyone. Most people seem to like gifts that are made with personalization that makes the gift unique to them. If you have a lot of frames, you could also spell out an entire name or word. Our construction project started on Tuesday so I am going to have some challenges in making my projects and posting on my blog. It is exciting to have things happening - I just have to get more done on the inside! Happy first full day of Summer - the kids in our town still have school until Friday - I am sure they are ready to leave and start vacationing! wow I can't believe I am the first one this time to post a comment. I live far west, and I am up later than the rest. 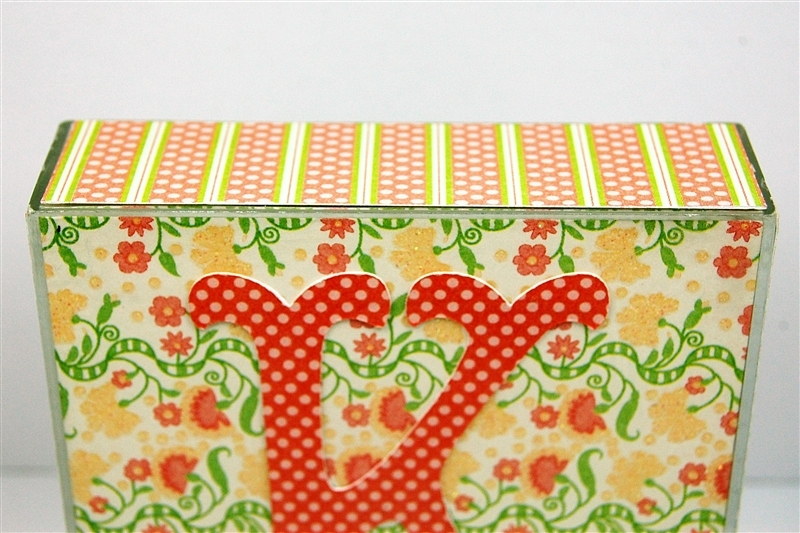 I love the idea of using those frames for stamps. The letter on it is also very cute. Thanks for the idea. Thanks for sharing the tip o stamp storage! Your project is beautiful! Thanks for the great ideas today. I love them and your creations. Great idea for recycling! 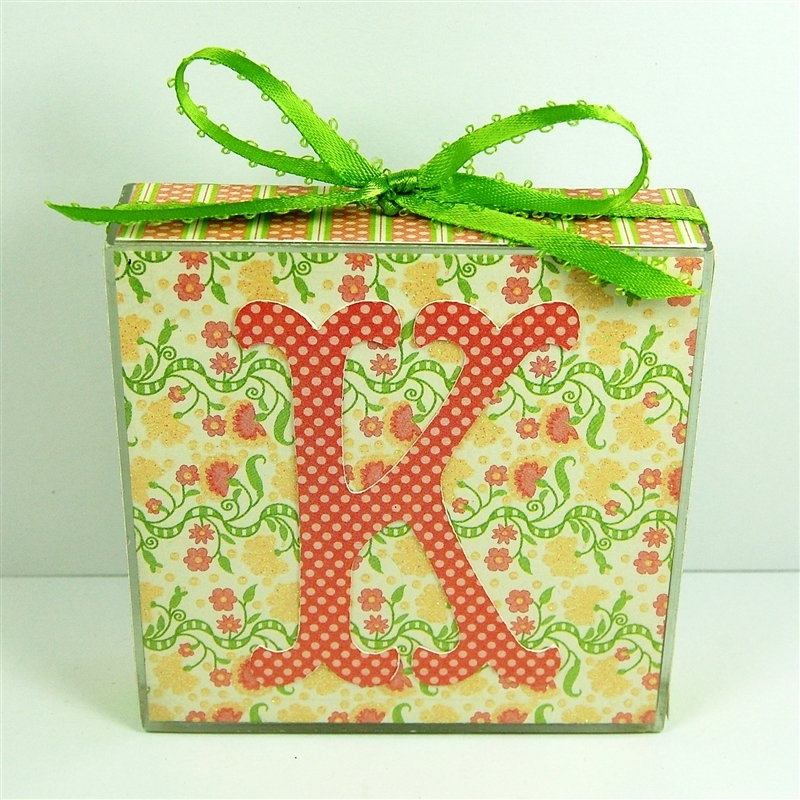 Everyone loves personalized gifts. Love your use of the gradient gems. They add that touch of elegance. 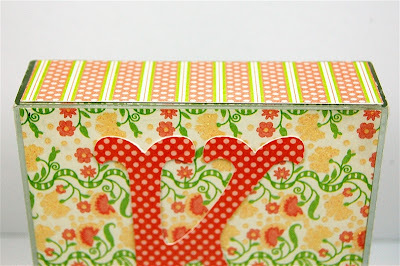 Great storage idea for your stamps, too! Doesn't it just bug you when someone else comes up with the most simple and creative idea ever and you wished you had thought of it????? : ) Well, that is how I felt when I saw the frame boxes being used as little drawers. How clever of you. So glad you shared. I have a few of those frames and I now know what I am going to do with them. I love getting things organized. Love your ideas for the old frames. Your project with the frame is awesome and I am going to try it for my grandchildren! Love the upcycling ideas. Even older "K's" like me would enjoy the personalized box. Thanks! Thanks Diane for a fun idea for a girly girls room. My little neighbor girls would love to get this cute frame.